The Whitman-Hanson Regional High girls’ lacrosse team is aiming to reach the tournament this season. The Whitman-Hanson Regional High girls’ lacrosse team is down some significant firepower from last spring, but fifth-year head coach Dave Rowell is confident in the group he has this season. The Panthers are tasked with replacing their top offensive threats from 2017 – Ali Joanis (67 goals, 21 assists), Mel McAleer (38 goals, 55 assists) and Taylor McVeigh (37 goals, 27 assists) – that helped guide the club to a 10-11 record and its third Division 1 South Sectional tournament appearance (a 17-4 loss to Braintree in the first round) in the past four years. The return of Bonavita, who was held out of last season due to soccer, is certainty a welcome sight. During her sophomore campaign, she ranked second on the team with 42 goals. “Having her in the circle fills a huge gap of just speed and athleticism,” Rowell said. Bonavita, a midfielder, is not the only Panther who can get up and down the field in a flash. While the Panthers still plan to put the ball in the net plenty of times, they also plan to be stout on defense. Having Miller, along with classmate and fellow defender Camryn Boyce and senior goalie Kasey Molito as captains should put an emphasis on just that. Also, at the outset of this season a freshman girls’ lacrosse team was added, and it’s already paying dividends. The Panthers will open the season at home Thursday, April 5 at 4 p.m. against Patriot League Keenan Division foe Hingham. The Whitman-Hanson Reigonal High boys’ baskeball team made the tournament for the 10th straight season, won at least 16 games for the sixth straight winter and captured its third straight division crown. The 2017-18 season didn’t come together the way 18-year Whitman-Hanson Regional High boys’ basketball head coach Bob Rodgers was expecting, but it came together in a way that he hadn’t envisioned. “We were able to accomplish some things that I didn’t think would be on the table for us,” Rodgers said. The Panthers went 16-5, which marked the sixth straight season in which they won at least 16 games, made the Division 2 South Sectional tournament for their 10th straight campaign and grabbed a share of their third consecutive Patriot League Keenan Division title and fourth in the past five years. “Winning the league championship with Hingham was really a testament to how hard the kids worked and how they believed even though we hit that tough stretch in the middle of the season,” Rodgers said. In that tough stretch to which Rodgers referred, were three straight losses to Hingham (71-45), Cardinal Spellman (78-76) and Quincy (55-54) that dropped the Panthers to 5-4. But, they turned it around and rode a 10-game winning streak until Division 1 Bridgewater-Raynham topped them, 60-45, in an exclusion game for W-H. Perhaps W-H’s most impressive victory during the winning streak was a 68-51 triumph at Hingham. The Harbormen had dealt the Panthers their worst regular-season loss (71-45) in more than 10 years four weeks prior. Leahy poured in a gamehigh 25 points and retrieved 10 rebounds in the win en route to being tabbed Patriot League Keenan Division MVP. 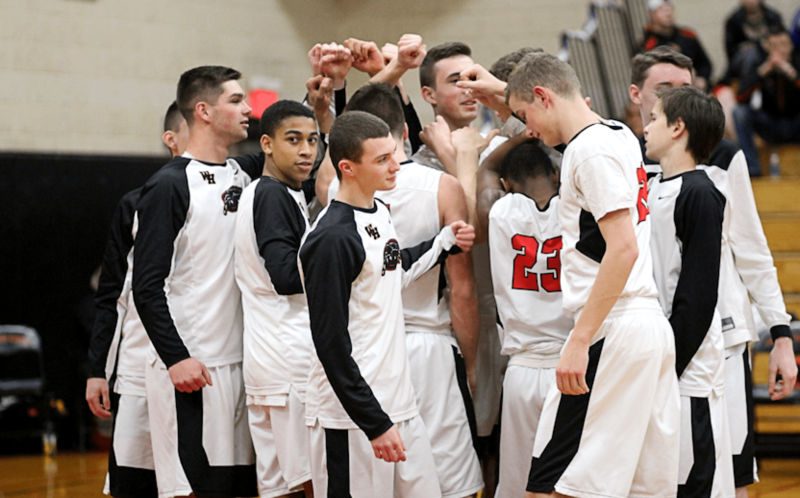 However, in the playoffs, the sixth-seeded Panthers succumbed to 11th-seeded Nauset, 65-56, in the first round. “We didn’t shoot it well,” Rodgers said. “We got plenty of shots, but we just didn’t shoot it well. We didn’t have that rhythm of guys that could stick it, so if Sean [Leahy] wasn’t scoring we were going to have difficulty putting points on the board. Shooting, which had always been a strength of the Panthers over the years, was an issue all season long, forcing them to form a new identity on offense. While there was no trip to the TD Garden like there had been the previous two seasons for the Panthers, they exceeded what Rodgers had for expectations. The Panthers will once again have a significant number of holes to plug next season with the departures of senior captains and league all-stars Leahy (19.7 PPG, 9.2 RPG) and Hanson-Bartlett (12.3 PPG, 7.1 RPG), fellow senior and league all-star Josh Genereux (8.7 PPG), and classmates Tyler Rice (5.1 PPG) and Tyrie (5.9 PPG). But, they’re no stranger to that. Whitman-Hanson Regional High senior Alex Uva scored the only goal for the South team in Saturday’s boys’ hockey Shriners All-Star Classic. Alex Uva provided a silver lining for the South team in a 10-1 loss to the North on Saturday in the Shiners All-Star Classic at the Canton Ice House. With 44.5 seconds remaining in the second period, the Whitman-Hanson Regional High senior, who was an assistant captain on the boys’ hockey team, took a feed from Blue Hills’ Anthony Sarno and buried it home, bringing the South within 8-1. On Thursday, Uva was awarded the Charles P. Driscoll Community Service Award for his fundraising efforts for Shriners Hospital for Children. “I want to send a special thank you to all who donated,” Uva said. “I was happy to be selected as an all-star and it was great to play in the game with all that talent. The Whitman-Hanson Regional High softball team is aiming to reach the .500 mark, but has some major shoes to fill. Assembling the starting nine for this season’s Whitman-Hanson Regional High softball team will be much like a puzzle for fifth-year head coach Jenna Olem. The Panthers are down four integral pieces from last spring’s team that went 11-10 and returned to the postseason, where it lost 8-0 to North Attleboro in the first round of the Division 1 South Sectional tournament. The quartet — which featured catcher Kristin Arthur, first baseman Kelly Burke, shortstop Emily Cook and center fielder Sarah Saccardo — were all senior captains and four-year varsity players. Arthur, a three-year starter, hit .397, scored 19 times and collected 14 RBIs. Burke, a two-year starter, posted a .338/.400/.412 slash line and drove in 13 runs. Cook, a four-year starter, hit .452, knocked in 13 runs and crossed the plate a co-team-leading 24 times. Saccardo, also a four-year starter, scored 24 runs, hit at a .459 clip and produced eight RBIs. “They kind of jumped in [and] set the tone to try and build this program,” Olem said. Cook and Saccardo accounted for two of the three W-H Patriot League All-Star selections from last season. The other: current senior captain Colleen Hughes. “Now we’ve got [Colleen Hughes] that’s trying to carry that on from the 2015 team that beat [Bridgewater-Raynham] (in the first round of the Division 1 South Sectional tournament), so this season is about trying to get Colleen’s season to go full circle, put the best players around her and do the best we can in our league,” Olem said. Hughes, without a doubt, is going to be relied upon heavily this season, and with good reason. Last spring, she hit a team-high .486, belted a team-high four home runs and drove in a team-high 25 runs, while also serving as the Panthers’ ace, a capacity where she collected eight wins. Junior Kayla Crawford will be Hughes’ battery mate as she makes the transition from second base to a fulltime catcher. Freshman Abby Cleary is the likely candidate to slot into the No. 2 spot in the rotation behind Hughes, who hurled 106 of the Panthers’ 133.2 frames played last season. Senior captain Julia Donavan will also return for her third season in left field and classmate Hailey Norris will be back at third base for the third consecutive spring. Olem said the remaining five spots on the diamond (first base, second base, short stop, center field and right field) are up for grabs. Olem added that as much as she would like her team, which features eight new varsity players, to make the tournament, this season is going to be centered a great deal around development. “We’re gonna see if we can get it to .500, squeeze out a couple of wins, beat the teams that we should, but it’s so unpredictable because we have so many spots to fill, but as long as we finish the season better than we start, that’s really all I care about,” Olem said. The Panthers are scheduled to open their slate of games at home Wednesday, April 4 at 4 p.m. against Milton. The Whitman-Hanson Regional High baseball team is returning some pivotal players from last season’s team that went 16-5 and was bouced in the first round of the tournament. Whitman-Hanson Regional High baseball head coach Pat Cronin has always had a vision for the future. Back in the spring of 2016 when Cronin took over the W-H program after spending the past 35 years at the helm of East Bridgewater, this was the season he was building toward. “I will say this that in the three years that I’ve been here this was the year that I’ve had kind of circled as a year where I was really excited and interested in seeing how much our work paid off,” Cronin, who has recorded 452 wins as a head coach, said. In the Panthers’ first campaign under Cronin, they advanced to the postseason for the first time since 2007 and won their first-round game 11-0 against Somerset-Berkley before falling to Falmouth, 4-2, in the semifinals. Last season, they finished 15-6, which included a 4-2 loss to Sandwich in the first round. W-H did, however, claim the Patriot League Keenan Division along the way. As part of Cronin’s forward vision, he doesn’t just account for the season at hand. While the Panthers may be down Patriot League All-Star at short stop and captain Luke Tamulevich, who helped turn seven doubles plays last season, due to graduation, fellow league all-star junior Mike Cook, who hit .302 and helped spin nine double plays last spring, will slide over from second base to shortstop. Senior Ryan Sawtelle, who backed up Bobby Caliri behind the plate last season, will assume the catching duties and will be looked upon to supply some offense. “He dinged and donged and his stroke has really improved,” Cronin said. Sawtelle will be tasked with handling a lethal Panthers pitching rotation anchored by their two captains. Senior James Dolan enters the year having posted a 0.35 ERA over 40.33 innings last season while junior Rian Schwede hurled 39 innings to the tune of a 1.44 ERA. Both were Patriot League All-Stars. Dolan, who plays first base while not on the mound, also hit a team-high .389 last season en route to being tabbed Patriot League Keenan Division MVP. Cronin is also high on junior Ethan Phelps (.319 last season) who he will let roam center field and use as a third starter. Senior Caleb Burke is back at third base and senior Jason Green returns as the designated hitter and will see some action on the mound. The Panthers are scheduled to begin their season at home Tuesday, April 3 at 4 p.m. against Middleboro. “We won the first game in ’16 and we lost the second game to a good Falmouth team with the kid going to BC,” Cronin explained. “We lost to a good Sandwich team last year with a kid that threw well. We are not ready to hit at that level, that’s what takes time to build in a program and it did the same thing at East Bridgewater. You have to get them in the cages and get them to commit. Defense and pitching, we can work in early on and day in and day out, but to build a good hitter, it’s a different mindset from what they’re used to. The Whitman-Hanson/Silver Lake high school girls’ hockey team finished the season at 2-18 and had 15 new players on its roster. The 2017-18 campaign served as a learning experience for the Whitman-Hanson/Silver Lake high school girls’ hockey team, which skated to a 2-18 record. WHSL, which was coming off its first tournament victory since the co-op’s inception in 2014, underwent a complete roster transformation. The Panthers lost 12 players off last season’s roster, which included three of their key defensemen, their lone goaltender and 80 percent of their goal scoring. The departures paved the way for 15 new players, 11 of whom were freshmen, to join the team. The Panthers, who started the season 0-11, finally broke into the win column with a 3-1 triumph over Scituate on Jan. 27. One of those skills was passing. Also, midway through the season, WHSL added a goalie coach to work hand in hand with freshmen netminders Kat Gilbert (Halifax) and Rylee Moran (Whitman). Gilbert entered the season with no experience in between the pipes and Moran had little action herself. WHSL surrendered just 16 goals in a four-game stretch from Feb. 3 to Feb. 16. In that span, the Panthers pulled off a 3-2 win over Plymouth. Marani sees a similarity between that Plymouth team, which went from 0-19-1 last winter to 14-4-3 this season, and his club. Manning the blue line was sophomore and Patriot League All-Star Natalie Nemes (Kingston), who led WHSL with 14 goals. Sophomore Meagan Elwood (Kingston) also provided a much-needed spark for WHSL’s offense, ending her season with 10 goals. Freshman Emily McDonald (Whitman) ranked third on the team with three goals. The young WHSL team will be in search of some leadership come next season as it will lose senior captains Shannon Elwood (Kingston) and Colleen Hughes (Hanson) along with classmate Emily Knight (Hanson), all of whom were four-year players. “We’re losing three girls, three really good leaders,” Marani said. As for the future, Marani believes his team will only get stronger due to the struggles sustained this winter. Longtime Whitman-Hanson Regional High Wrestling coach Bob Gay will be inducted into the National Wrestling Hall of Fame. Bob Gay would not have guessed that a late-night phone call would lead to a Hall of Fame career in a sport he knew nothing about. It was Nov. 30, 1979 and Gay had just concluded his fourth season as the Whitman-Hanson Regional High girls’ golf coach. He was sitting in the dining room of his Raynham home testing his luck at Trivial Pursuit when he heard a ring. It was Ron Brown. The two knew each other well as they were colleagues in the W-H history department and Brown would occasionally attend some of the girls’ golf team’s away matches. But, this call wasn’t about history or golf. Brown, who had started W-H’s wrestling program two years back, needed an assistant coach. “He asked, ‘Can I come to practice the next day?”’ Gay said. Gay had no prior wrestling experience, but he — still a bit shocked — obliged. However, Gay didn’t let his lack of knowledge hinder him one bit. He watched, listened, and attended coaches workshops and clinics along the way. Gay served as the assistant coach for five seasons, before taking the 1984-85 campaign off for personal reasons. 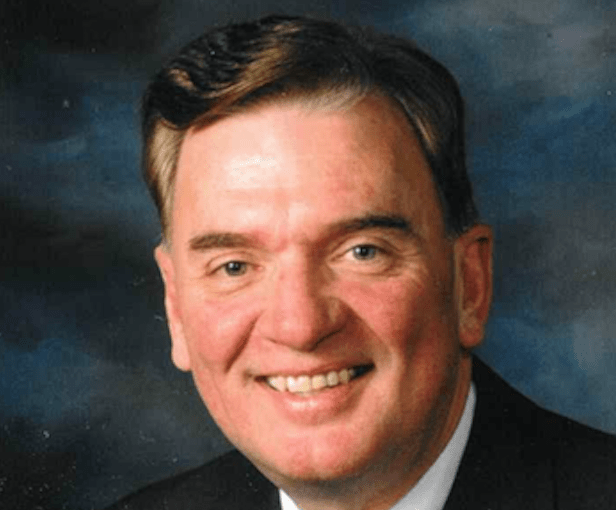 At the outset of the 1985-86 season, he was back and elevated to head coach at W-H. It was a post he held until 2001. During the course of his 16-year stint, the Panthers reached unprecedented heights. They claimed nine league titles, won three South Sectional championships, boasted nine state champions and had a span in the mid-1990s where they won 53 straight dual meets. The accomplishments of the program became Gay’s biggest recruiting tool. Gay’s wrestlers changed by the season, but his expectations of his Panthers wrestling program did not. Because of Gay, W-H created a Good Sportsmanship Award aimed to recognize fairness and respect for one’s opponent displayed outside of its own program. In 2012, Gay began coaching wrestling again as an assistant to one of his former wrestlers at W-H, Nick Flynn, on the inaugural Bristol-Plymouth/Coyle-Cassidy co-op. Gay became the head coach the following season, a position he still holds today. A few months ago, Gay was shocked again. Not via telephone this time, like it had been 39 years back, but by a piece mail postmarked Stillwater, Oklahoma. “I don’t know anyone there,” Gay recalled of his reaction to receiving the piece of mail. But, he went on to open it anyway. The letter explained he was selected to be inducted into this year’s class of the Massachusetts Chapter of the National Wrestling Hall of Fame. For Gay, who has already been inducted into the MA Wrestling Coaches’ Hall of Fame in 2012 and New England Wrestling Coaches’ Hall of Fame in 2016, this is the ultimate achievement. Gay, despite all the success (355 wins and counting), tried to never stray too far from his primary message. “We had a lot of wins and we had a lot of titles and stuff, but I’m hoping when all is said and done that I’ve had a positive impact on as many kids as I can,” Gay said. Gay’s induction will take place Saturday, April 7 at Gillette Stadium. “That call changed my entire life,” Gay said with a laugh. The Whitman-Hanson Regional High girls’ basketball team finished the 2017-18 season with an eight-year best 13-9 record. For the Whitman-Hanson Regional High girls’ basketball team, that’s the perfect motto. With a roster that consisted of just two seniors to complement six juniors, three sophomores and two freshmen, the Panthers boasted an eight-year best 13-9 record and cracked the tournament for the second straight season. But, back in Division 1 South for the first time since 2012 due to realignment, 11th-seeded W-H bowed out to sixth-seeded Wellesley, 46-37, in the first round. W-H opened the winter red-hot, winning its first seven contests – highlighted by a 67-64 double-overtime season-opening victory over Bridgewater-Raynham, a 60-57 win at Silver Lake and a 3-0 trip to Florida which resulted in a tournament title. But, the return trip home, which began with a 56-38 loss to Duxbury, wasn’t as kind for the Panthers as both B-R (67-47) and Silver Lake (66-52) defeated them comfortably the next time around. But, despite the second-half struggles, the Panthers remained upbeat, improving on the little things. They finally nailed down their 11th win – to clinch a spot in the postseason – with a 51-36 triumph over Pembroke and in their second match against Duxbury, they held the Dragons to 40 points in a four-point loss. The Panthers were often buoyed on both ends of the court by their junior captain and Patriot League All-Star duo of Kathryn Dunn and Erin Leahy. Dunn averaged a team-high 11.3 points, 1.9 assists and 1.8 steals and was second with 5.7 rebounds per game. Leahy, whose 2016-17 season came to an abrupt end after she sustained a torn ACL in W-H’s tournament clincher, led the Panthers on the boards, averaging 8.5 and ranked second with 9.0 points, 1.5 assists and 1.4 steals per game. The Panthers also received significant contributions in spurts from freshmen Reese Codero (10 points Dec. 19 vs. North Quincy) and Rylie Harlow (seven points Dec. 21 vs. Hanover), sophomores Brittany Gacicia (nine points Feb. 8 vs. Plymouth North) and Olivia Martin (22 points Feb. 15 vs. Quincy) and juniors Leah Badger (seven second-half points Feb. 6 vs. Pembroke), Anna O’Neill (14 points Jan. 23 vs. Plymouth South) and Olivia Johnson (nine points Jan. 23 vs. Plymouth South). “I thought everyone made solid progress and jumped up to another level this season,” Olem said. Olem also lauded her two seniors and quad-captains – Halle Julian and Alyssa Nicholson – for assisting the Panthers’ transition to a significantly younger team than the year prior when they had five seniors. Olem said she fully expects the Panthers to take another step forward next winter. The winter sports season was highlighted by both Whitman-Hanson Regional High basketball programs making the tournament. With the spring looming, here is a look back on the winter season that was for the Whitman-Hanson Regional High sports teams. Boys’ basketball – buoyed by the dynamic play of senior captains Jacob Hanson-Bartlett and Sean Leahy – W-H found itself in the postseason for a whopping 10th straight winter. The Panthers rebounded from a shaky 5-4 start and 4-2 league record out of the gate and rode a 10-game winning streak to grab a share of the Patriot League Keenan Division crown for the third consecutive season. The sixth-seeded Panthers fell to 11th-seeded Nauset, 65-56, in the first round of the Division 2 South Sectional tournament. Bob Rodgers’ club capped the year at 16-5, improving its record over the past three seasons to 57-11. Girls’ basketball stormed out to a 7-0 start that included a double-overtime win against Bridgewater-Raynham, its first victory over Hanover since 2011 and a 3-0 trip to Florida where it captured the Queen of Palms Emerald Division title. Jenna Olem’s club received contributions from all over its young roster that featured just two seniors. Junior captain and league all-star Kathryn Dunn (11.3 PPG) paced the team on the offensive end and fellow junior captain and league all-star Erin Leahy (8.5 RPG) was a force on the boards. The 11th-seeded Panthers’ season was ended in the first round of the Division 1 South Sectional tournament with a 46-37 loss to sixth-seeded Wellesley. The team finished the year at 13-9, its best mark in eight years. Girls’ hockey set sail on the season having to replace nearly 80 percent of its offensive production that led it to back-to-back SEMGHL Northeast titles, a league it left this season with the formation of the Patriot League. The co-op also welcomed 11 freshmen to its roster, including Emily McDonald (Whitman) and Rylee Moran (Whitman). McDonald ranked third on the team with three goals and Moran saw some time in net, recording 65 saves. Sophomore league all-star Natalie Nemes (Kingston) led WHSL with 14 goals and eight assists, while junior Meagan Elwood (Kingston) potted eight goals. Freshman Kat Gilbert (Halifax) turned away 477 shots in net as a first-year goaltender. Kevin Marani’s squad finished the year at 2-18, but was 2-7 in the home stretch. Boys’ hockey flipped the script on a tough previous campaign. After an offseason of hard work, the Panthers increased their win total by seven and came within two points of making the postseason. Chris Googins’ club, which finished the winter at 8-10-2, owned wins over postseason qualifiers Abington and Silver Lake. W-H rallied behind its senior captain, Ryan Sawtelle, for an emotional 6-1 win over Plymouth North on Jan. 6 in a game that was- dedicated the night to his late mother, Lori. Senior assistant captains and league all-stars Korey Howard (18 goals, 10 assists) and Alex Uva (9 goals, 16 points) paced the Panthers in points. Boys’ indoor track raced to a 2-3 record. Mike Driscoll’s group posted wins over Duxbury (55-45) and Silver Lake (57-43) and dropped a pair of close meets to Hingham (57-43) and Pembroke (57-41). Four Panthers partook in the Div. 3 All-State meet and senior captains Brian Edwards (eighth place, high jump) and Andrew Newman (seventh place, 2-mile) captured medals. Newman, along with classmates Brett Holmes and Jack Ryan, were selected as Patriot League All-Stars. Girls’ indoor track, riddled with injuries, dropped its first three meets before posting a win over Silver Lake (51-49) and a tie against Pembroke (49-49) to conclude the winter at 1-3-1. Adams State-bound and senior captain Nicole Norve qualified for the Div. 3 All-State meet and was tabbed a league all-star. Key contributions also came from seniors Camryn Boyce and Julia Cosgrave along with a handful of underclassman. Wrestling finished the winter with a 7-13 mark. Sophomore Steve Brooks (152 pounds) led the charge for the Panthers on the mat with a team-high 19 wins. Freshman Matt Butler (126) was second on the Panthers with 16 wins while senior captains Ben Cordingley (138) and Steve Osborne (182) combined to rack up 28 victories. Gary Rabinvotiz’ team boasted eight sophomores and 10 freshmen. 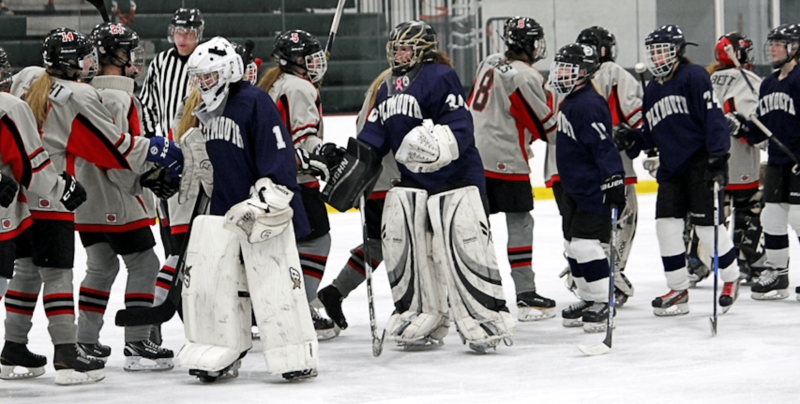 W-H ended the season 2-1, with wins over Norwood (46-36) and Everett (30-24) in its final meet of the season Feb. 3. Girls’ swimming/diving had sophomores Niki Kamperides, Madison Navicky and Sabrina O’Connor all qualify for sectionals. In the regular season, the girls – under the watch of W-H head coach Sean Siciliano and leadership of senior captain Phoebe Bonney – finished with 5-3-1 mark. WHAM scored key wins over Rockland (90-69) and Pembroke (94-74). Its tie came against Norwell (85-85). Boys’ swimming/diving, in its first season as a co-op between Whitman-Hanson and Middleboro, saw some success. Freshman Brian Pham took the pool by storm, qualifying for sectionals in a pair of events. Junior Nate Manley also chipped in by scoring in a few meets for Siciliano’s club, which finished with a 3-5 record. Gymnastics concluded its second season with a 9-4 record. Rachel Sferruzza’s bunch opened with a 125.1 score to record quad-meet victories over Pembroke/Silver Lake (123.3), Marshfield (123.05) and Hingham (121.75), matching last season’s win total. Senior Britney Blackstone set the tone for the Panthers all winter, qualifying for the postseason. Senior captains Kaileigh Gordon and Kaylee Torpey were also key. On Sunday, on its home mat, the cheerleading team had every reason to believe. The Panthers boasted a 200.1 score to secure their 13th MSAA Division 2 state title. The phrase can often be heard echoing off the walls in the Whitman-Hanson Regional High gymnasium as the cheerleaders break their huddle. It said before every practice, after every routine and every competition. The two words have served as a way to draw the Panthers, who lost their coach of five-plus years after a trip in late January to Dallas for nationals, amid tough times. The victory also marked the program’s fifth straight winter crown. Milford, which finished second with a score of 196.2, edged the Panthers, 195.40-194.70, the week before in the South regional competition. The Panthers also lost one of their flyers this winter, thrusting a base into action to learn new techniques on the fly. The cheerleaders will not be attending the New England regional competition due to a scheduling conflict, but they’re perfectly content with the way things ended. “They qualified, but they’re ending as state champions and they’re definitely pleased,” Hayes said. The cheerleading team was captained by junior Anna Franklin and consisted of senior Nicole Masone, juniors Madelyn Anderson, Ashley Davis and Shelby Newcomb, sophomores Kaylee Diehl, Rachel Hunter and Ryley Hurley and freshmen Melanie Hulbert, Olivia McCarthy and Savannah Poirier.